We’re not quite Hogwarts, but North Carolina State University’s College of Veterinary Medicine has something in common with the world of Harry Potter. All faculty, staff and students are sorted into four houses as part of a college-wide wellness initiative. Throughout the academic year, the houses, which boast groups of students reflecting differences in backgrounds and areas of study, compete to earn points by participating in various campus events. Popular in the United Kingdom, the house system is used by a few schools in the United States, including the medical schools at the University of North Carolina at Chapel Hill and Vanderbilt University. The four houses are named after individuals who shaped the trajectory of veterinary medicine through innovative theory and work. 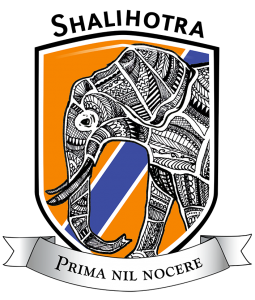 Each house boasts its own crest with an emblem reflecting veterinary medicine ideals and a motto endorsing a foundational concept of medical ethics. The principal house colors represent the four humors of ancient and medieval medicine once thought to be the roots of all maladies. Name: Ancient descriptions of veterinary medicine and the “One Health” concept of using the same treatments to heal both animals and humans is attributed to Shalihotra who is thought to have lived in the Indian city of Sravasti around 2350 B.C. Crest: Features an elephant, recognizing Shalihotra’s treatment of horses and elephants with war injuries. The elephant symbolizes strength, power, affection, loyalty, wisdom, reliability and a sense of history. Motto: Primum Nil Nocere — First, do no harm. Name: In the 18th century, French veterinary surgeon Claude Bourgelat founded the world’s first veterinary school in Lyon. Crest: A striking horse reflects Bourgelat’s pioneering work in management of diseases of horses and livestock. The horse symbolizes freedom, stamina, mobility, the land, travel, power, grace and nobility. 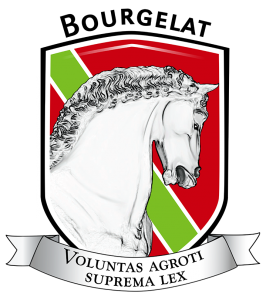 Motto: Voluntas Aegroti Suprema Lex — Autonomy of the patient is the most important law. Name: Daniel Salmon was the first doctor of veterinary medicine educated in the United States. During the 19th and early-20th centuries, he led professional, government and educational organizations in North and South America, notably studying animal diseases for the U.S. Department of Agriculture. The disease-causing bacteria Salmonella is named for him. Crest: A falcon represents Salmon’s work proving germ theory in birds with fowl cholera. The falcon represents new beginnings, adventure, passion, leadership, rising above, guardianship and looking to the future. 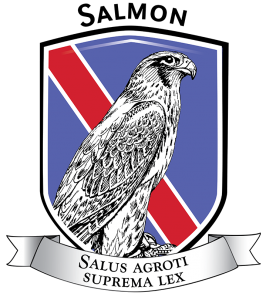 Motto: Salus Aegroti Suprema Lex — The well-being of the patient is the most important law. Name: Alfreda Johnson Webb was the first African-American woman to graduate from a United States school of veterinary medicine, the Tuskegee Institute (now University) in 1949. Webb taught at North Carolina A&T University throughout the 1960s and 1970s. She was also on the planning committee for the College of Veterinary Medicine at NC State. She exemplifies the importance of increasing diversity in the veterinary field and broader applications of the discipline. Crest: An anatomical portrait of a dog recognizes Webb’s dedication to teaching and her focus on companion and lab animals. The dog represents nobility, faithfulness, loyalty, teaching, protecting, guidance and honor. 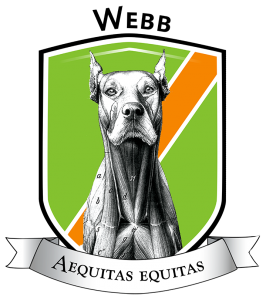 Motto: Aequitas Equitas — Fairness, Equity and Justice.